My two favorite activities, possibly ever, are reading and watching movies. I especially like when I can do both. When a book I sincerely love is converted to film, I am left feeling both excited and nervous. Excited to see the characters and world come to life, nervous that the movie won’t get anything right. 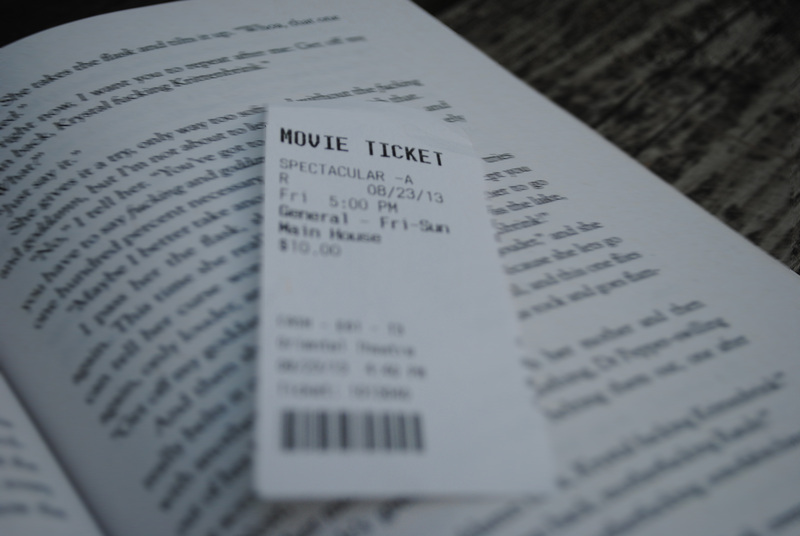 Some of my favorite books have come to my attention because of their companion movie – usually the movie is about to come out, I find out it’s based off a book and proceed to read said book as quickly as I can. 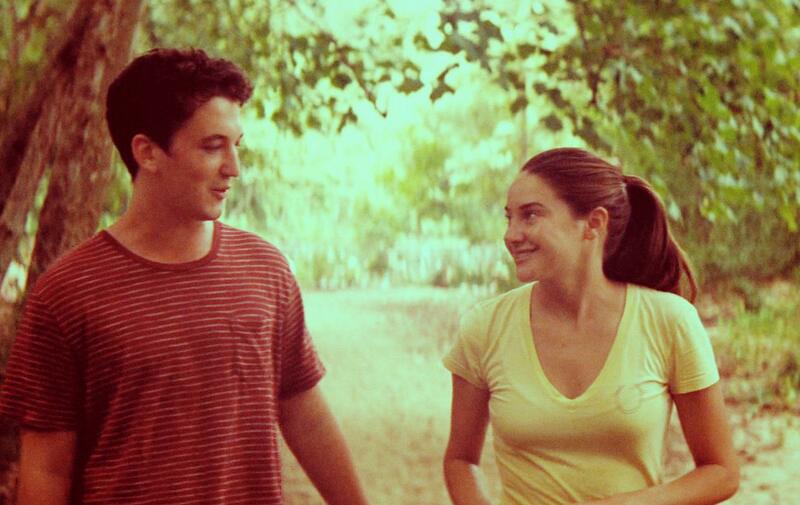 When I saw the trailer for The Spectacular Now, I was so excited. The trailer made the movie look like it would be my favorite of the year, a movie so wonderful I would leave the theater awestruck and inspired, the movie I rooted for to win all the Oscars. After all, Michael H. Weber wrote the screenplay, the same man who wrote (500) Days of Summer – one of my top 10 favorite movies. FANGIRL MOMENT: HE EVEN FAVORITED ONE OF MY TWEETS, WHICH WAS A QUOTE FROM THE BOOK. Speaking of, the trailer looked so remarkable that I purchased the book. And read it in less than 24 hours. A short book and written in teenage vernacular, it was a quick and easy read. At first I wasn’t sure I enjoyed how the book was written – so juvenile and chit-chatty. But upon finishing it, I realized the book was written how teenagers speak. 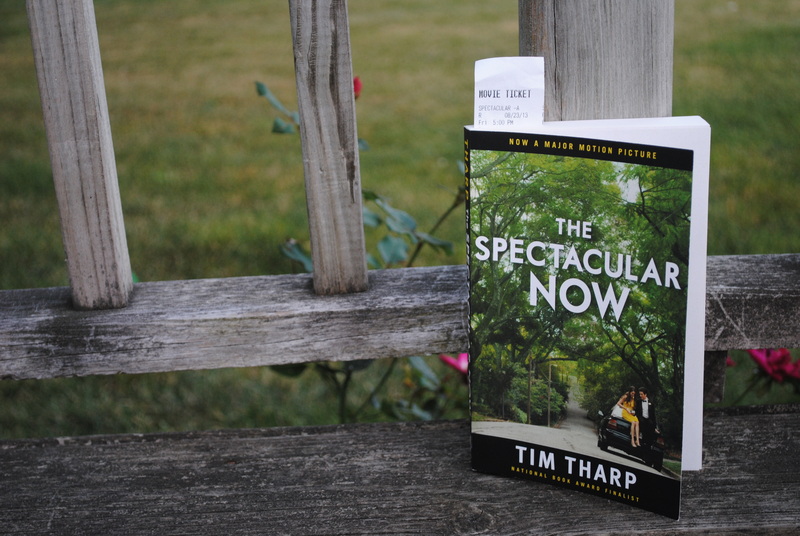 Tim Tharp, the author, perfectly emulated the swearing, bad-mouthing and vulnerability of teenagers through his words. A classic boy-helps-girl-then-takes-off-her-glasses-and-winds-up-falling-in-love story, this book had another dimension. Sutter Keely (our protagonist) is trying to help Aimee Finicky (a soft-spoken 'nobody'), but in turn, she ends up helping him. She helps to find his dad and slow down his drinking problem. They help each other in the most genuine and beautiful way – void of selfishness and ulterior motive. 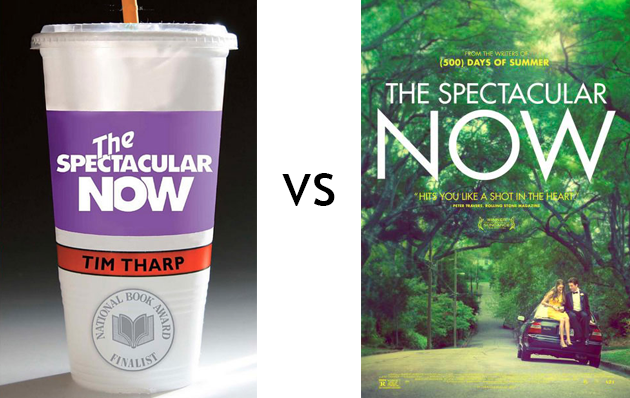 I have more thoughts on the book (read them here), but I want to focus comparing the book to the movie. Usually, when I go to movies I try not to have to high of expectations for them. Some of the best movies I’ve seen, I had zero expectations for. Take 21 Jump Street for example. I went into it thinking it would probably be stupid, and I would only laugh a few times. I ended up geeking out throughout the whole movie. Zero expectations equals better outcomes. Trust the math. Where was the inner thoughts and confessions of Sutter? We barely knew what he was thinking. Where was his boss throughout giving him advice? Why didn’t we learn more about Aimee and her bizarre, but specific, interests? And for Pete’s sake, where was the cute indie soundtrack?! Despite the lack of character building and inner dialogue (which I know can be hard with a movie – we can’t expect an adaptation like Perks out of every film) this movie did get some things right. All the characters were cast well, and they all looked real – less Hollywood-esque. I believed they were high schoolers. I also enjoyed the ending of the film much more than the ending of the book. Although the ending did stay true to the book, the book had a much more open-ended ending, the movie gave me hope at the close. Which is something I always love. Some movies weren’t meant to become films. As much as I thought this movie would translate superbly and as cool as the trailer made it look, this book should have stayed just that – a book. Have you seen this movie or read the book? What did you think? Leave it in the comments.